Ronasutra Sexyglow BB-CC Cream (SG03 Tan) for tan, reddish/medium dark complexions. Home › Ronasutra Sexyglow BB-CC Cream (SG03 Tan) for tan, reddish/medium dark complexions. Look like a million dollars in just seconds! A beauty balm and colour correcting cream based on therapeutic minerals and essential plant oils. - All-in-one make up primer/ base, foundation, moisturiser and sunblock. - Infused with minerals, argan oil, rosehip oil, bergamot oil. - Treats acne, reduces wrinkles and skin dryness, fades pigmentation and blemishes. - Does NOT contain talc, paraben, artificial fragrances, alcohol, chemical sunscreens. - Long-lasting , will not melt or cake and protects from UV and environment. - Spreads and blends easily. No makeup skills required! No makeup skills required. Blends easily to a beautiful, glowing finish! No cakeyness, only beautiful skin all day long...yes even if you have oily skin! Apply it on bare skin or on top of your favourite skincare. Suitable for all skin types. This product gives enough coverage for daily wear. Apply to your whole face and neck. 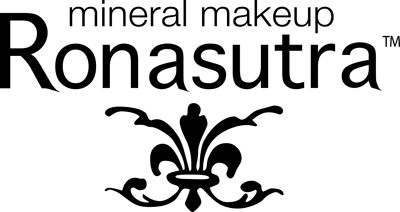 Use Ronasutra Mineral Stick Foundation at under-eye area as a concealer. Set with Ronasutra 2in1 Mineral Foundation & Powder for a matter finish. Ingredients: Shea Butter, Olive Oil PEG-7 Esters, Ethylhexyl Palmitate, Diisostearyl Malate, Organic Argan Oil, Isododecane, Cetearyl (Olive) Olivate, Titanium Dioxide, Zinc Oxide, Organic Rosehip Oil, Bergamot Oil, Ceteareth-20, Methyl Methacrylate Crosspolymer,Yellow Iron Oxide (CI77499), Red Iron Oxide (CI77491), Chromium Green, Mica, Sodium Potassium Aluminium Silicate (and) Titanium Dioxide (and) Silica.